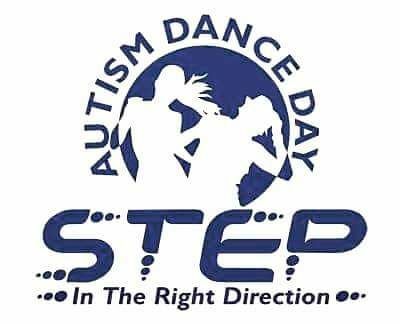 Every year we celebrate Step in the Right Direction Autism Dance Day and in our first year we received UNESCO Patronage. It was a fantastic success and everyone was dancing in lots Schools, Colleges ,Offices ,Youth Clubs,in your lounge at home in fact everywhere across the UK. So we thought we would take one step further and ask you to join in a nationwide dance festival to raise funds for Autism. It’s easy to organise – someone brings the music and the invitees provide the moves- and if we all get behind the occasion we think it will really capture the imagination of children with Autism, their parents, carers, friends and family, as well as local press and communities. Its a great way of publicising our cause and showing off your event to your family, friends and the nation. For the 7th year running on the last Friday in April it is once again Autism Dance Day on April. Strike a pose in your office, warehouse, school, college, lounge at home – wherever the mood takes you and post on Facebook, Twitter, Instagram and tag us in! Experts agree that dance helps children with an autism spectrum condition develop better, and it can also help them connect more with others. Students from Hillingdon Manor School performed a fun flash mob in front of surprised shoppers in Uxbridge on Friday (April 29) to raise awareness of Autism Dance Day. The 17 students, along with street dance teacher Jonathon Baron, performed a choreographed dance to the public outside the Pavillions shopping centre, and even taught the Mayor of Hillingdon some moves at the event. The event was organised by Jonathon Baron in conjunction with us. Hillingdon Manor set up by Anna Kennedy OBE is an independent special school for children on the autism spectrum between 3 and 19 years of age. Hillingdon Manor School strives to provide effective, specialist education and support to pupils with an autistic spectrum condition and their families, which will allow pupils to achieve their full potential in education and life. Step in the Right Direction today with Autism Dance Day and dance wherever the feeling takes you to help raise awareness of autism. Anna Kennedy Online who charters this annual celebration has had people dancing from all over the UK and overseas all day, and people will be dancing well into the weekend. 2016 at Spitalfields Market – Anna Kennedy online created a series of amazing Flashmobs. Soul Symphony choir from Croydon started the atmosphere with a gospel sing off, followed by a high calibre group of trusted individuals suddenly, spontaneously completed a well-rehearsed performance. The final showdown was ‘Khronos Agoria’ – Britain’s Got Talent 2016 semi-finalists who blew the atmosphere through the roof with their dynamic dance of contemporary dance that had the nation entranced performed with their flawless performance. Fourteen students, who all worked exceptionally hard over six months to produce this performance in front of 700 people. They gave it their all!